We can help you with immigration to Grenada. 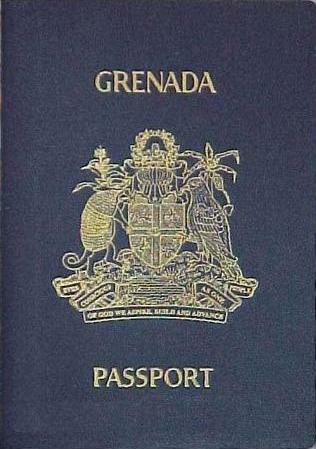 Grenada has a very popular investment program that grants an instant passport. For the Citizenship by Investment program, the applicants are required to invest a minimum of USD $200,000 and pay fees which amount to about USD $50,000. The investment must be in government-approved real estate or other projects. After the investment and application process is completed, the individual instantly becomes a citizen in Grenada. Parents and grandparents of the principal applicant and spouse may apply as dependents in the application if they can prove that they live with, and are financially dependent upon, the principal applicant. There is no longer a minimum age requirement for the parents/grandparents. Processing under the Grenada program is just 2-3 months, and this program allows visa-free travel to many countries worldwide, including the UK and Hong Kong. Visa-free travel to the European Union is under review, and could be approved soon. Visa-free travel UK and Hong Kong. no longer a minimum age requirement for the parents/grandparents. Antigua and Barbuda Visa not required 180 days. Holders of Caricom Certificate of Skills can stay indefinitely. Freedom of Movement all citizens from OECS states. Barbados Visa not required 180 days. Holders of Caricom Certificate of Skills can stay indefinitely. Belize Visa not required 180 days. Holders of Caricom Certificate of Skills can stay indefinitely. Cape Verde Visa on arrival Not available at all entry points. Djibouti Visa on arrival Not available at all entry points. Dominica Visa not required 6 months. Holders of Caricom Certificate of Skills can stay indefinitely. Freedom of Movement all citizens from OECS states. France Visa not required 90 days within any 180 day period in the Schengen Area; also visa-free access to Guadeloupe, Martinique, French Guiana, Saint Pierre and Miquelon, Réunion, Mayotte and Wallis and Futuna. Guyana Visa not required 6 months. Holders of Caricom Certificate of Skills can stay indefinitely. Jamaica Visa not required 180 days. Holders of Caricom Certificate of Skills can stay indefinitely. Jordan Visa on arrival Conditions apply. Saint Kitts and Nevis Visa not required 180 days. Holders of Caricom Certificate of Skills can stay indefinitely. Freedom of Movement all citizens from OECS states. Saint Lucia Visa not required 180 days. Holders of Caricom Certificate of Skills can stay indefinitely. Freedom of Movement all citizens from OECS states. Netherlands Visa not required 90 days within any 180 day period in the Schengen Area. Also visa not required for Aruba/Curaçao, Sint Maarten and the Caribbean Netherlands. Somalia Visa on arrival 30 days, must hold an invitation letter issued at least 2 days before arrival. Suriname Visa not required 180 days. Holders of Caricom Certificate of Skills can stay indefinitely. Trinidad and Tobago Visa not required 180 days. Holders of Caricom Certificate of Skills can stay indefinitely. Ukraine Visa on arrival 15 days for business or tourism purposes, available at Kyiv Boryspil Airport, Kyiv International Airport (Zhuliany) and Odessa International Airport. Saint Vincent and the Grenadines Visa not required 6 months. Holders of Caricom Certificate of Skills can stay indefinitely. Freedom of Movement all citizens from OECS states.